34+ Great Things to Do in Old Quebec City Old Quebec City is an area with a rich history and vibrant streets at just about any hour during the day or night. It’s home to some of Canada’s best restaurants, most interesting historical buildings, and, overall, is a veritable post-card town. Old Quebec City is an area with a rich history and vibrant streets at just about any hour during the day or night. It’s home to some of Canada’s best restaurants, most interesting historical buildings, and, overall, is a veritable post-card town. Between the sweeping views of the Saint-Lawrence river, the delectable food and buzzing cobblestone streets, visiting Old Town Quebec City should be up there on anyone’s bucket list. Discover Old Quebec like you never have before–through its food! Learn about Old Quebec’s history with your knowledgeable guide and taste the town’s culinary heritage. Walk through the cobblestone streets and learn about the old buildings that still stand today. Savour the delicious food from some of Quebec City’s best eateries: from a rustic sugar shack to a hip snack bar. Between the food and drinks, the price of the ticket includes 12 yummy tastings in total! Instead of choosing just one restaurant in Quebec City, the Old Quebec City Food Tour invites you to sample many different places while learning about the area and meeting new people. For more information, click here! Dive into this historic locale and get to know the stories, the places and the people that helped shaped the beautiful city you see today. The Morrin Centre offers visitors a myriad a reasons to visit. Firstly, this National Historic Site explores the contributions and culture of English speakers in the Quebec area. It boasts an impressive and extremely beautiful Victorian-style private library of English books. The centre was also a prison for captured British soldiers: walk through the jail cells and discover the hidden parts of Quebec’s history. Explore what it was like to live in Quebec City circa 17th century. Musée des Ursulines, founded by the Ursuline nuns, is the oldest North American learning institution for women. Learn about the boarding school for young women–the daily routine, curriculum, games and the friendships formed–all while diving into the important role that religion played in 17th century society. Be sure to see the Ursulines’ Chapel that houses paintings acquired around 1820 after the French Revolution. 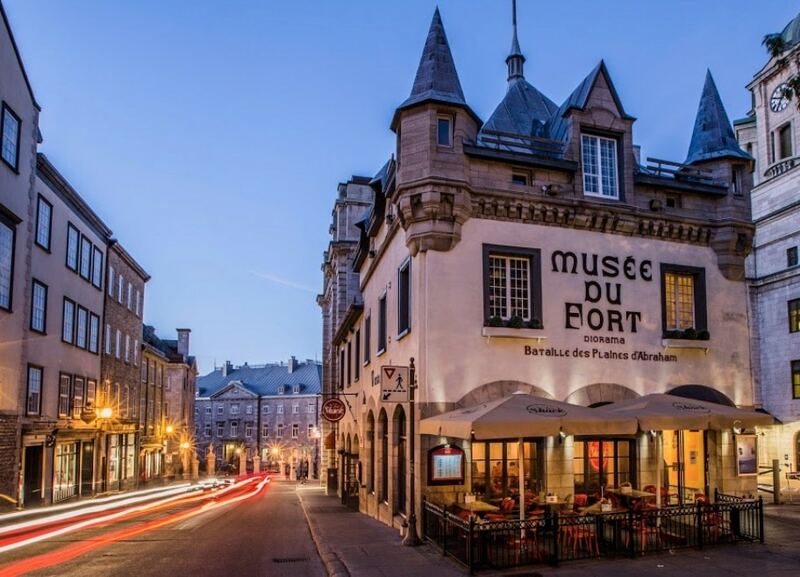 This little museum offers visitors a 30 minute multimedia exhibition that chronicles the history of Quebec City battles and attacks on the city. Through the use of visual demonstrations, sound and light, dive into the famous battle on the Plains of Abraham and Benedict Arnold’s march to Québec City. The show is thoughtfully curated making it easy to grasp all the while being entertaining for families. Showcasing the beautiful work of a select number of Inuit artists, Art Inuit Brousseau is a gallery dedicated to encouraging Inuit artists to pursue their artistic endeavours and practice the artistic traditions of their ancestors. See the carvings out of stone and wood and beautiful paintings displayed throughout. And if the works really speak to you, you can purchase them! Learn about Quebec’s History through a series of original interactive exhibitions. The museum explores the history of Quebec’s settlers and Aboriginal people, and continuously introduces new exhibitions to the museum. It’s a great excursion for adults and children alike and is both educational and fun! If you are looking for an extensive list of where to go in this culinary hub, we invite you to have a look at our other blog article featuring the Most Delicious Old Quebec City Restaurants! In the heart of Old Quebec this sleek yet cozy restaurant serves inventive and delicious plates crafted from fresh, local, organic ingredients. Celebrating the area’s lush and varied vegetables, the dishes also feature meat and fish options that are sustainably sourced. Come for lunch or dinner and get a taste of Quebec at its purest. Your tastebuds, body and friends will all thank you. This small and rustic eatery serves up French fares and delicious hares. Like their name suggests, lapin (rabbit) is a main dish, and their rabbits are raised at a nearby farm in Beauce without antibiotics or hormones. Since its opening in 1988, Le Lapin Sauté has gained a reputation for its warm dining room complete with a fireplace, and fall-off-the-bone meat. Their ingredients are locally-sourced and can be enjoyed on their lovely flowery terrace in the summer. Louise Taverne & Bar à Vin unites two unique concepts into one warm, festive experience. Whether you choose to have an evening fuelled by the traditions of Europe’s gourmet taverns, or by raw bar delights, shareable plates and, of course, drinkable indulgences that define the wine bar scene, you’re in for a good evening. Stop by for a drink, amuse-bouche or a full, hearty meal in the heart of the Old Port. This Italian spot has its feet firmly planted in the 21st century with trendy decor and contemporary twists on traditional dishes. Conti Caffe has updated old favourites for the present day, much like Old Quebec has repurposed its historic buildings for a plethora of new uses. This restaurant is the perfect spot for city lovers and city dwellers, bringing to Quebec a taste of Italy, today. Striving for modernity and always focusing on precision, chef Yvan Lebrun blends French and Canadian cuisine together beautifully. Having grown up in a fishing village in Brittany, France, the menu naturally features salmon, oysters and seasonal berries for good measure. The dining room is characterized by a warm and understated elegance. The decor is simple and subtle: the food is the main attraction at Initiale. Walking through the gilded lobby of the Château Frontenac, the air of luxury already begins to set in. Le Sam, with its glorious view of the Saint-Lawrence river (depending on where you sit) greets you with its gold and dark blue velvet booths, gold bar and stools, and overall elegant decor. Their creative cocktails pack a punch of inventive flavours like the old oak’fashioned with bittered sling malagasy chocolate bitters. Enjoy their French bistro fares in a classically-chic setting. Laurie Raphaël takes fine dining to the highest level. In a glamorous and sleek setting they deliver dishes that are both delicious and visually stunning, making it the perfect place to get dressed up and savour creative French-Quebecois cuisine. In preparing their menu, the chefs keep core values at heart. They create gustatory poetry made from seasonal ingredients – dishes so good you’ll taste the richness of tradition in every bite. Chef Jean Luc Boulay and his partner Arnaud Marchand find inspiration in hearty, healthy, nordic cuisine. The menu adapts to the products available each season, and highlights produce that can be found in the boreal forest like berries, syrups, gamey meat and fish. The menu also features a couple vegetarian options, but more importantly, more than a couple dessert options. Top off your meal in this modern, chic, chocolate-wood floors bistro with a sweet clover and blackcurrant crème brûlée! These top-tier destinations help define Quebec City, and they’ll surely give you something to marvel at. When you visit Quebec City, the head-honcho of attractions is the Château Frontenac and the Terrasse Dufferin. Built for the Canadian Pacific Railway company during the late 19th century, the hotel was intended to appeal to wealthy travellers and encourage luxury tourism. Today, the Château still towers over Old Town Quebec City and draws patrons from around the world. You can step inside and marvel at the glorious and grandiose lobby with gold doors and arches and detailed work in the wood-panelled walls. Just outside the hotel is the Terrasse Dufferin, a large boardwalk where you’ll see an array of buskers, great views of the lower town and the Saint-Lawrence River. The funicular is a cable car that ascends and descends the steep hill that separates the upper and lower town of Old Quebec. The short ride, for a small price, saves you the trouble of heading up the Breakneck Stairs. Enjoy a magnificent view of Old Quebec and the ships on the Saint-Lawrence river as you go up or down! The Citadelle is the oldest military building in Canada and is still active today. Take a tour inside the walls where you can see the changing of the guard ceremony at a specific time in the morning. Learn about Quebec City’s military history and how this military installation still functions today! For more shopping around town, check out this list of 24+ Places For the Best Shopping in Quebec City. This store features organic and artisanal food products like pastas, flour, jams, meats, oils, bread, maple syrup and other delicious products you can pack in your suitcase and bring home. See their range of locally-sourced original products and pay special attention to their selection of Quebec wines! If you want a taste of Quebec, this indoor market in the Old Port is a perfect one stop shop for artisanal products and gourmet foods, without the frills. You can fid just about anything made in the province from wine and craft beer, to jewellery and ceramics, to cheese, maple syrup and even produce. The market is ideal for finding authentically local goods as well as grabbing a fresh meal on the move. Photo credit: Savonnerie de Québec Candeur inc. 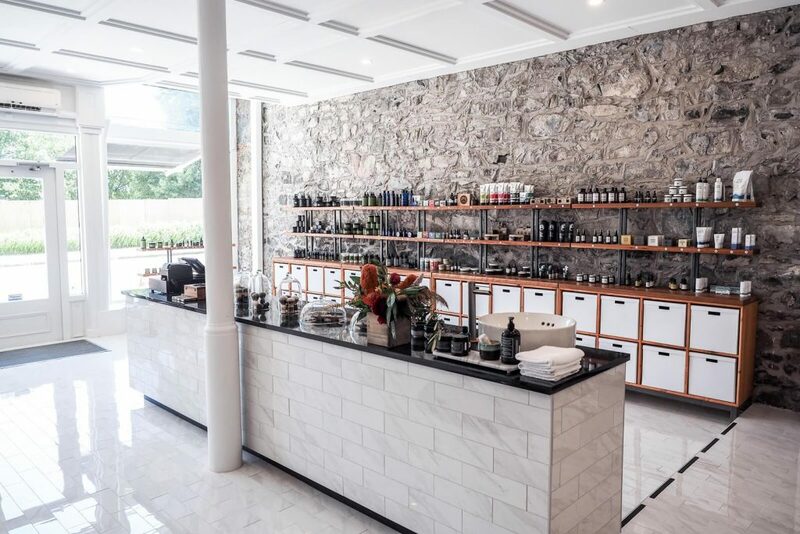 If a hot bubble bath is your idea of relaxation, Candeur Savonnerie Artisanale can hook you up with artisanal soaps with a myriad of lovely scents. With ingredients hailing from Quebec, like goat’s milk and fine oils, these soaps are handcrafted with tradition in mind. Bring home something specifically Canadian when you shop at Amimoc. Their boots, shoes and moccasins are a piece of Quebec that you can wear wherever you go, from the comforts of home to the toughest terrain. Whether you choose a traditional or modern silhouette, you’ll be supporting local Indigenous business in style. For a lady that loves style, you’ll find a perfectly curated selection of everything you could ask for in the heart of Old Quebec. Clothes, shoes, jewellery, home decor and more line the shelves of this impossibly cute store. You’ll even find some sweet treats, making it nearly impossible to leave without picking something up. Every man deserves a little pampering, so head over to Rituels as soon as you can. Here, you’ll find everything a guy could dream of to keep himself, and especially his beard, looking sharp. From shaving sets to skin and hair care, the sleek designs will definitely upgrade your self care routine. Tired from walking around and exploring? Need a hot cuppa joe to warm up? These cafes have exactly what you need and more. Chez Boulay specializes in Nordic Cuisine, drawing inspiration and flavour from the lands surrounding Quebec. They’ve infused this approach into their completely unique cafes, which serve pastries, lunch foods and specialty flavoured coffees. Even those who need to refuel on the go won’t have to sacrifice on taste, the food and drinks here are treated with the same creativity and care that goes into the fine dining restaurant. Have a soup, sandwich, and sweet at Paillard for a delicious lunch. Whether you’re hungry for a full meal or looking for a little snack like a croissant or pastry, Paillard bakes it all fresh. Though it tends to get busy at peak hours (lunch and breakfast), there’s ample seating at the back of the bakery. Step into this bright and inviting cafe or take a moment to relax on their Parisian-style terrace. From macarons, pastries, gelato, sundaes, sandwiches, iced drinks and more, La Maison Smith is a stop that’ll tickle your tastebuds. We recommend trying their caramel mocha and pecan croissant! Artefact Café is a little bit of everything: cafe, restaurant, lounge, chic hangout, bar, and the list goes on. It’s located at the bottom of the Auberge Saint-Antoine hotel and draws a crowd looking for a cool cocktail or glass of whiskey, scotch, or wine. They serve a variety of meals (pasta, salads, meat and fish) in the dining room equipped with comfortable couches. If you’re just looking to wind down and have a bit of fun, you’re in for a good night at these top bars! Pub des Borgia claims to have the best French onion soup in town–and they might be right! Topped with cheese to crack through with your spoon, their French onion soup is a delicious pairing to their selection of craft beer, scotch and wine. With exposed-stone walls, hardwood floors and a warm fireplace, this bar is a great place to warm up or to enjoy a summer evening on their small outdoor terrace. In a beautiful room overlooking the Saint-Lawrence river, Le 1608’s stunning circular bar appears to glow in the dimly-lit room with dark wooden walls. Share a platter of fine Quebec cheese, which you can select from their refined and extensive menu, under the pendant lights that hang from the ceiling. Enjoy a cocktail in this chic and classically-elegant bar located in the Château Frontenac. Set in the historic house that used to belong to Marie-Anne Barbel, an influential figure in the 18th century, l’Oncle Antoine invites you to sample their local Quebec microbrews surrounded by history. This cavernous bar envelops patrons in a dome of exposed stone. Red leather tufted couches line the walls on the inside, and during the warmer months, the bar extends outside onto their terrace. Sample scotch and whiskey from their long menu and pair your drink with a European hot dog or smoked-meat sandwich. In the heart of Old Quebec is a traditional English-style tavern that serves-up beers, scotch, pub food and musical events from jazz to blues and folk. Sit among friends surrounded by beer paraphernalia, brick walls and chocolate-wood beams. Experience a touch of Ireland in Quebec City at this large pub that serves delicious, hearty pub grub. Think baked mac and cheese, saucy ribs served on golden fries, tartare, burgers, delectable pasta, and much more. Set in an historic house with stone walls and green accents all over, this pub is perfect if you’re looking to catch a game among enthusiastic sports fans. If the combination of cocktails and jazz excites you, Bar Ste-Angèle will have you raring to go. With around 50 different cocktails and jazz acts playing late into the night on Thursday through Saturday, this Old Town bar is a guaranteed good time. A warm and friendly vibe envelops the bar that looks not unlike an underground speakeasy.